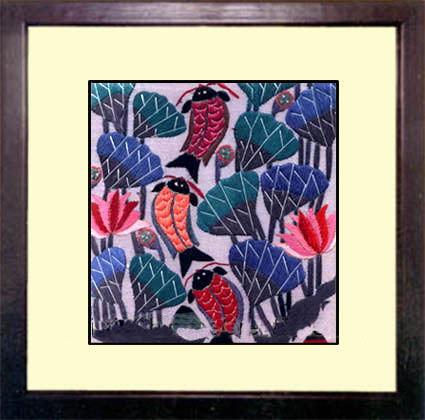 Chinese embroidery of fishes and lotus. 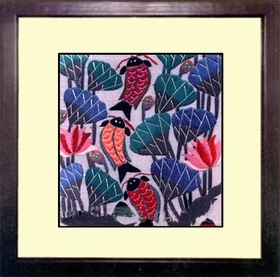 The presence of fishes in the Chinese culture depicts that a person will have prosperity and a peaceful mind. Lotus means purity, joy, and perfection. 100% Hand Embroidered. Frame included.